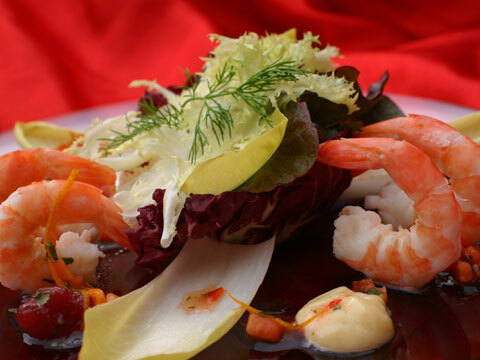 The availability of fresh seafood plays an important part in the menus of most Keys restaurants. Key West pink shrimp, familiarly known as “pink gold,” are served in a variety of ways in the many seafood restaurants throughout the Keys. From simple diners to five star elaborate resort dining rooms, shrimp, mahi mahi, yellowtail, and other ocean delights are popular choices among diners both local and visiting. There are steak houses, small diners, al fresco restaurants, elaborate hotel and resort dining rooms serving almost any variety of food for the most discerning guest. Anything from roast beef and mashed potatoes to jambalaya to moussaka to gumbo to fresh shellfish to the lightest, fluffiest of soufflés can be found at the plethora of restaurants in the Florida Keys. And don’t forget dessert. Many eateries offer the Keys’ famous Key lime pie, and until you have tasted it, you don’t know what you’ve been missing. Or you might want to try Key lime ice cream – but don’t go away without a sampling of the Keys’ most famous fruit.